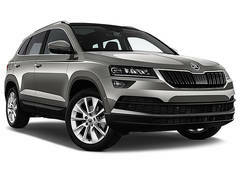 The Skoda Karoq is the Czech brand’s second SUV in their all-out vehicle offensive. 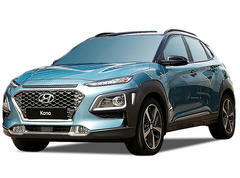 Having the same design DNA as its larger award-winning bear-named Kodiaq sibling, the compact sized SUV might be that ideal one size fits many vehicle. 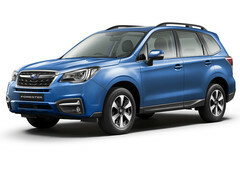 As SUVs become more popular, there is no mainstream brand without something ‘soft roader’ to show off. 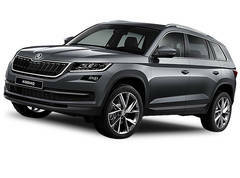 No prizes here that Skoda had jumped on the bandwagon, with not one, but two models. 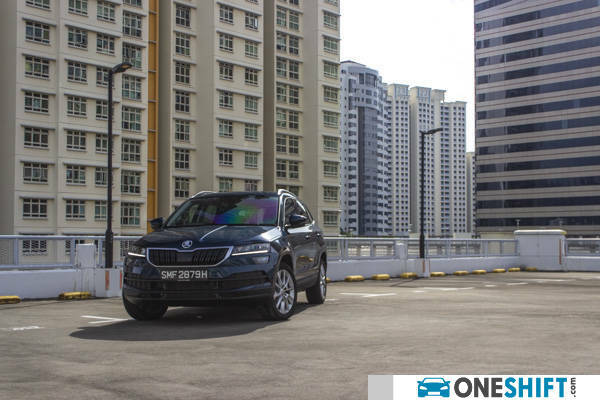 Knowing that the market is already saturated with these vehicles, Skoda stepped up to the challenge of ensuring that their compact SUV would be a little more special than the rest. 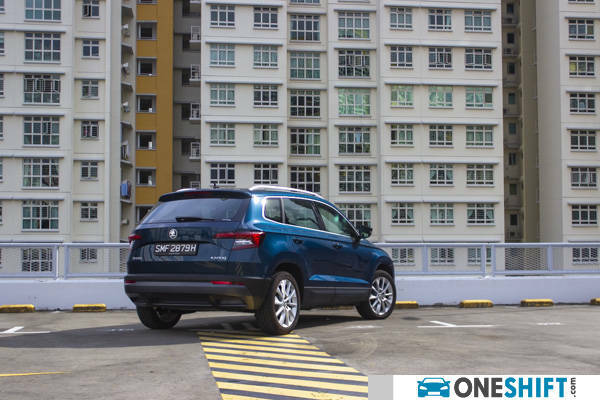 So how does the Karoq stack up against the competition? 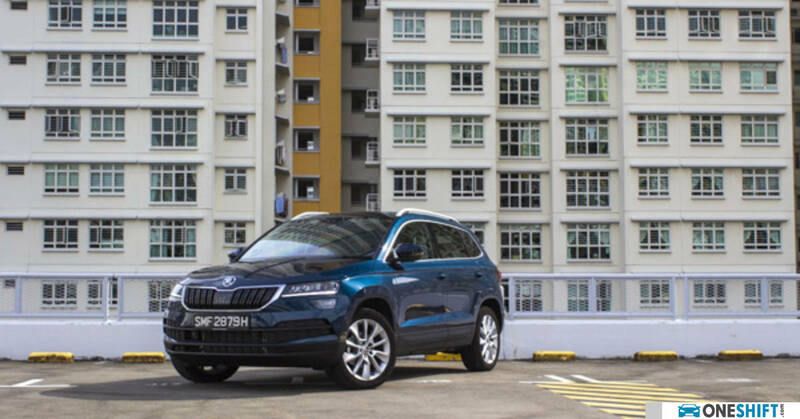 For starters, all Karoq models in Singapore are equipped with their range-topping 1.5 litre engine. 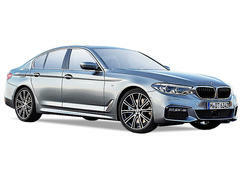 Only front-wheel drive is available here, which in reality is all we need. 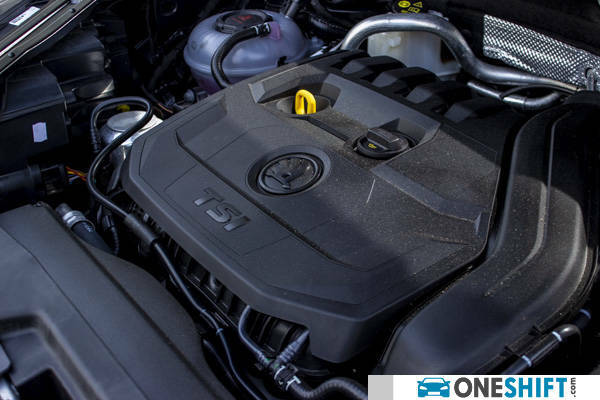 Robust in performance, the new 1.5 litre turbocharged unit, shared with parent, Volkswagen and luxury brand Audi; is good for 147bhp and 250Nm, the latter which is available from just 1,500rpm. 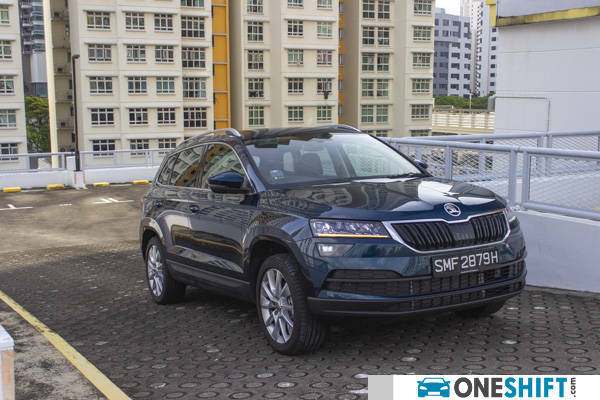 Bang down on the throttle, and the Karoq pulls confidently from a standstill, with a century sprint timing of a decent 9 seconds. 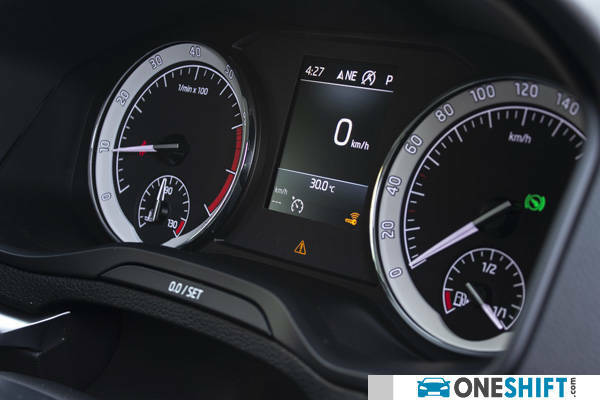 Economy is impressive with a combined 17.2km/l, which we are convinced that the car can easily meet. 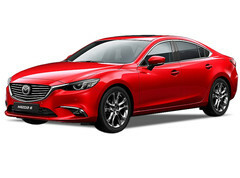 I would credit the good fuel figures to a few bits of tech, like the car’s already quick-shifting 7-speed dual clutch (DSG) transmission, ensuring no power loss between gear transitions; cylinder deactivation technology, which shuts off cylinders 2 and 3 during cruise, essentially making the engine run like a 2 cylinder on lighter loads. Not forgetting the car’s ability to coast when you lift off from the throttle, similar to clutching in a manual car on the run. Good for those who like to play the economy game, to see how much mileage they can clock on a tank. 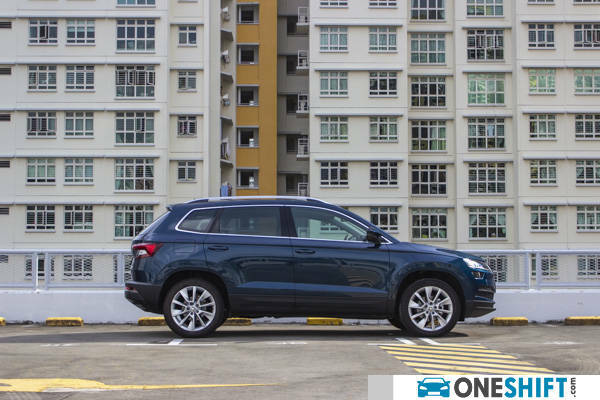 A plus to drivers is the car’s composure on the road, there is a sense that the Karoq handles like a taller, softer Golf. 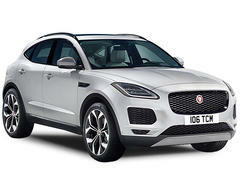 Feed in the power as you exit from a bend, and you will find that the compact SUV rolls little for its height. Road noise is minimal too, thanks to the Bridgestone Turanza tyres. Interior fit and finish is very close to cars found in the Volkswagen stable, though we did find just a few rough edges on parts of the door trim, found only if you do make an effort to do so. Ensuring that quality is high up on the list of priorities, there is plenty of switchgear taken from the Volkswagen parts bin. 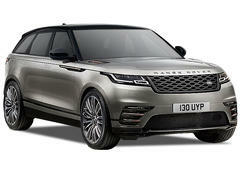 Notable features, like its large 9.2-inch “Columbus” infotainment system with navigation on our ‘Style’ trim test car are easy to navigate, and also comes equipped with a 10-speaker ‘Canton’ sound system which is one of the better standard systems we feel. 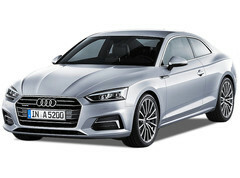 Design of the dash is purposeful with very good ergonomics, while nifty functions like its swipe left and right action gesture control system aids in making the infotainment system even easier to navigate. Delivery of information to the driver is through two large analogue dials (instead of a digital screen which has become quite commonplace of late), perhaps a good way to keep the cost of the car down, while loading up on the frills where they truly count. Incidentally, our ‘Style’ trim model is the frills-loaded version. One of the biggest highlights is the VarioFlex Seat System. 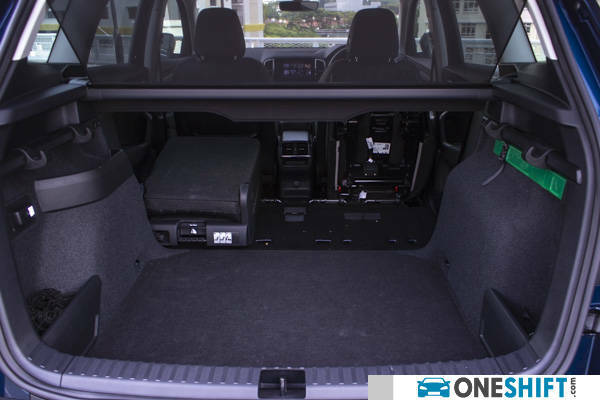 Nice idea, especially with the current trend of “Marie Kondo-ing”, you will come to appreciate the removable rear seats. 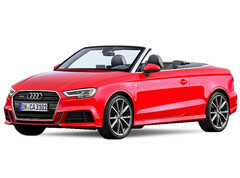 Naturally, the car already has 588 litres, which is very respectable, and with the seats completely removed, cargo capacity maxes at 1,810 litres; although removing them is quite a cumbersome task, given the size of the car’s rear door apertures. Especially for those who live in houses, the VarioFlex system might be a boon to them, as stowing the rear seats will be a non-issue. We mostly live in high-rise apartments, meaning a not-so-convenient double trip to offload the seats. Extra care also needs to be taken when handling the seats, as I did encounter a few rather sharp edges. 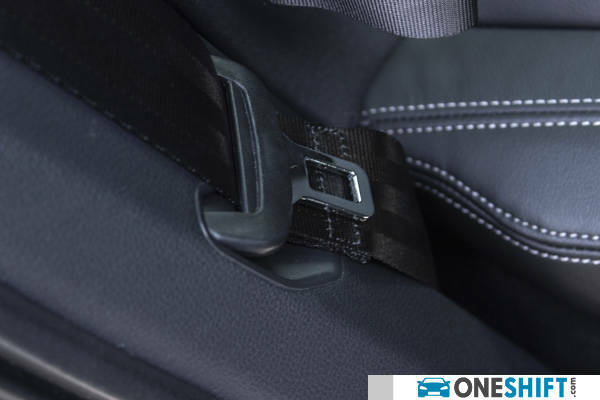 Adding to Skoda’s mantra of “Simply Clever”, even the seat belts at the rear also have their own slots, so as not to get in the way of any cargo. 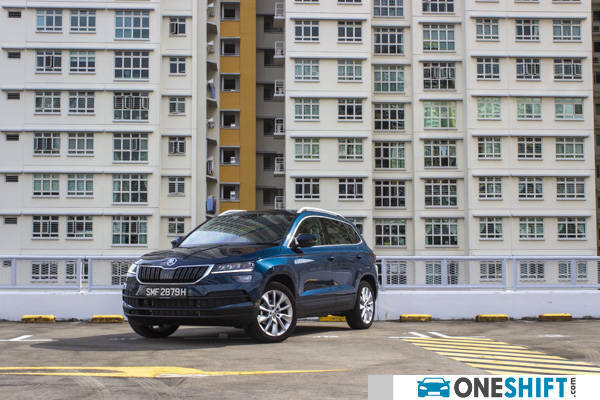 Living with the Karoq is very easy, the car performs well enough, and even better than many of the cars in the same category. 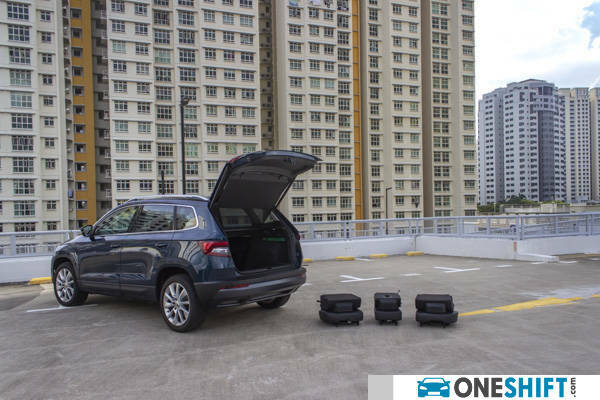 Luggage capacity too is one of the best, thanks to the VarioFlex seating system. Lug the entire family around, and its generous 250Nm is more than sufficient. 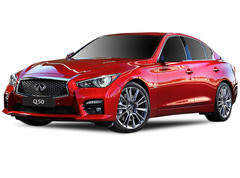 Other features like a charging pad for QI compatible devices, and safety systems like its Front Assist with Pedestrian Monitor and Blind Spot Detect with Rear Traffic Alert are just some of the goodies even the competition may not have… Very high on value we think. Especially in Singapore, where the market is saturated. YOU are spoilt for choice.